1./ 2./ 3./ 4. / 5. / 6. / 7. / 8. / 9. / 10. / 11. / 12. / 13. / 14. This is the last day of 2013 and first of all I want to wish you, lovely readers of this blog, a very happy New Year ! May 2014 bring you happiness and may you leave all your problems behind !. Every end of the Year, I have always enjoyed watching and reading the recaps of most watched music videos, of the most viewed movies, and so on. 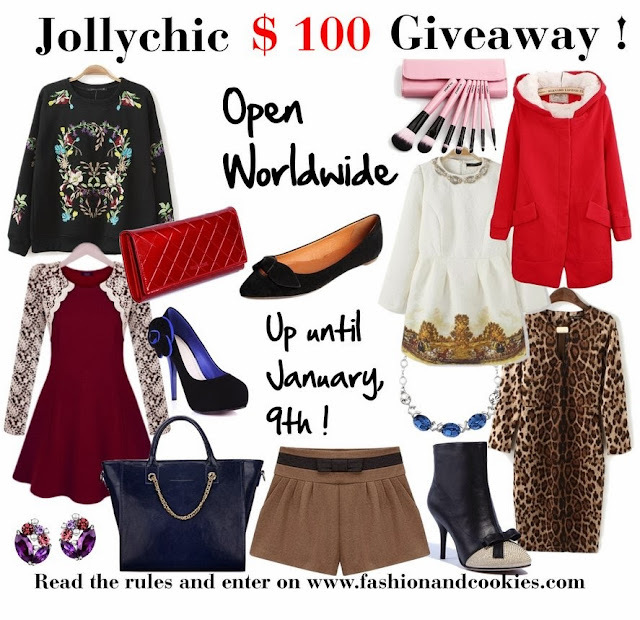 I have thought about having a recap of the best outfits of 2013 here on Fashion and Cookies ! As you know, I do not like to fit in a single category and I love to change style, but I managed to divide some outfits into 4 major groups: party girl for party outfits, woman for chic ladylike outfits, trendy for my outfits as a fashion victim, and casual outfits group. I enjoyed sporting every one of them, and most of all all my looks were truly worn by me in my everyday life. What is your favorite group and outfit of 2013 ?. Hope you enjoy this recap, there are links to every numbered outfit...thank you for supporting this blog, it means a lot to me, and see you in 2014 !!! Happy New Year !. Questo è l'ultimo giorno del 2013 e per prima cosa voglio augurare a voi, adorabili lettori di questo blog, un felice Anno Nuovo ! Possa il 2014 portarvi felicità e possiate lasciarvi ogni problema alle spalle !. Ogni fine di anno, ho sempre amato guardare e leggere i riepiloghi dei video musicali più ascoltati, dei film ecc, così ho pensato di preparare un riepilogo dei migliori outfits del 2013 di Fashion and Cookies !. 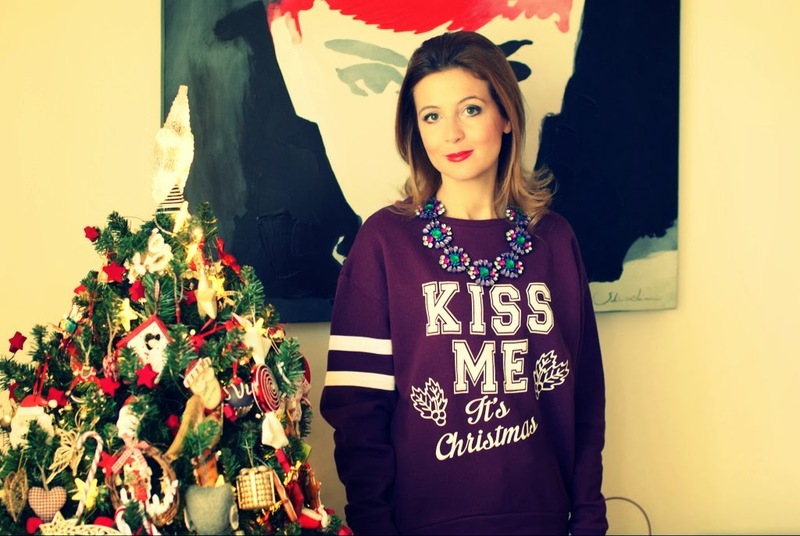 Come saprete, non amo rientrare in una categoria precisa e mi piace cambiare stile, ma per comodità ho diviso alcuni look in 4 grandi gruppi: party girl per gli outfit festaioli, woman per quelli più chic e "da signora", trendy per i look dove ho lasciato molto libera la mia anima da fashion victim, e poi c'è il gruppo look casual, più sportivi. Mi sono divertita a sfoggiare ognuno di questi look nella vita di tutti i giorni. In quale gruppo vi riconoscete maggiormente e quale/i outfit preferite ?. 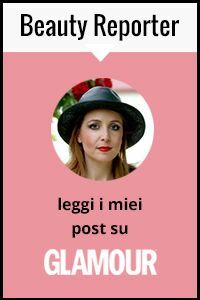 Spero gradiate questo riepilogo, ci sono i link ad ogni look numerato...grazie per il supporto che date a questo blog, significa molto per me, ci vediamo nel 2014 ! Buon Anno Nuovo a tutti !. I wanted my last outfit post of 2013 to be festive and also a good wish for new year, therefore let me introduce you to my brand new red coat ! No other color makes me feel like red does: it's a color for happiness and for self esteem, to me. It just screams: look at me, I am not afraid to be noticed by the other people !. No matter about my faults, after my teenage years when black was the only safe color, I have blossomed into an adult woman that enjoys playing with colors so much, and isn't afraid to dare. This is the philosophy I am embracing for these last days of the year: let's prepare for good resolutions, but let's also appreciate what we achieved so far. Don't you agree with me ?. Volevo che il mio ultimo post outfit del 2013 fosse "festaiolo" e di buon auspicio per il nuovo anno, quindi lasciate che vi presenti il mio nuovo cappotto rosso ! Nessun colore mi fa sentire come il rosso: è il colore della felicità e dell'autostima, per me. Sembra gridare: "guardatemi, non ho paura di farmi notare dagli altri" !. Non importa dei difetti, dopo gli anni dell'adolescenza, in cui il nero era l'unico "colore sicuro", sono diventata una donna adulta che ama giocare con i colori e non ha paura di osare. Questa è la filosofia con la quale affronto gli ultimi giorni di questo anno: prepariamoci ai buoni propositi, ma apprezziamo anche cosa abbiamo ottenuto fino ad ora. Non siete d'accordo ?. Winter holidays are a perfect time to take your funkiest clothes out of your closet, combine them together and party like a rockstar. It doesn't matter if you're just going out of a 8 hours no stop family bingo reunion, you can still act and feel like if you're totally tired after an after hours at the club, especially if you're wearing a starry printed mini dress, a fake fur jacket, high heel studded boots and a red clutch, just like me !. Le vacanze invernali sono il periodo perfetto per far uscire i vostri vestiti più originali dall'armadio, mescolarli insieme e festeggiare come una rockstar. Non importa se in realtà siete appena andati via da una riunione di famiglia con annessa tombola durata 8 ore, potete ugualmente sentirvi e comportarvi come se la vostra stanchezza derivasse da un after hours in discoteca, specialmente indossando, come me, un abitino a stampa stellare, un pellicciotto, stivali borchiati dal tacco alto ed una clutch rossa !. Merry Christmas to all of you, my lovely readers ! I wish you all the best, a Christmas of joy and love. As most of you, I will be spending this day with my family, eating a lot, relaxing, playing and watching Christmas movies. My look for the day is easy, a themed sweatshirt, jeans and a bling bling statement necklace. Buon Natale a tutti voi, adorabili lettori di questo blog ! Vi auguro ogni bene, un Natale di gioia e amore. Come la maggior parte di voi, trascorrerò questa giornata in famiglia, mangiando più di quanto dovrei, giocando e guardando film natalizi. Il mio look del giorno è comodo, una felpa a tema natalizio, un jeans ed una collana vistosa e luccicosa. When I think about pinstripe pants, often I end up thinking about office suits, to formal, somehow boring trousers. Well, in this outfit I want to show you another use for grey pinstripe pants...I paired them to a holiday sweater with a squirrel on the front and to a statement bag and coatigan, in an eclectic ensemble that won't surely make you think about an office meeting but is kinda festive. After all, Christmas is almost here...and I wish you from now to spend it in peace and harmony, surrounded by your loved ones !. Quando penso al pantalone gessato, spesso mi ritrovo a immaginare completi adatti prettamente all'ufficio, a pantaloni formali e, in un certo modo, anonimi. Con questo outfit voglio mostrarvi un modo alternativo di indossare pants gessati...li ho abbinati ad un maglione perfetto per le feste natalizie, con uno scoiattolo sul davanti, e ad una borsa e un coatigan molto particolari, un insieme eclettico che non vi farà di certo pensare ad un incontro di lavoro, ma è abbastanza festivo. Dopotutto, Natale è sempre più vicino...e vi auguro fin ad ora di trascorrerlo in serenità e armonia, insieme ai vostri cari !. As most of you will remember, I am a tartan addicted and this year, since checked prints took over Fall/Winter fashion, I have been able to wear so many plaid printed pieces of clothing, creating so many different outfits, including this one. I can't really define this look, all I know is that it represents me, and it's enough. It's based on blue and green tartans, maybe the easiest kind of plaid that also the less tartan enthusiastic people can bear a little bit more. A special guest star in this post is my tartan flat cap, with it it was love at first sight !. Come la maggior parte di voi ricorderà, sono leggermente ossessionata dal tartan e quest'anno, dato che le stampe scozzesi imperversano nella moda Autunno/Inverno, sono stata fino ad ora in grado di indossare tanti capi a quadri, creando molti look diversi, compreso questo. Non riesco a definire questo strano outfit prodotto dalla mia mente, so solo che mi rappresenta, ed è abbastanza ;). E' basato su fantasie scozzesi nei toni del verde e del blu, forse l'abbinata più facile tra i vari tartan, meglio sopportata anche da chi del plaid non ne vuole proprio sapere. L'elemento speciale del post è la mia coppola a quadri, con lei è stato amore a prima vista !. Monthly subscription boxes seem to be very trendy nowadays. You pay a small fee and you end up receiving a box with a few selected items. It's lovely because it's a bit like unwrapping Christmas gifts all year round !. Well, GlobeIn artisan gift boxes are much more than that, because these subscription boxes allow you to receive truly one of a kind crafts from artisans coming from all over the world !. Each subscription box will indeed contain up to three special handcrafted items together with the stories of the artists who made these pieces. GlobeIn is doing something important giving the chance to local artisans from all over the world to have an income and at the same time, briging something beautifully made and unique to the subscribers, at an extremely convenient price. Each subscription box retails for $ 29,99 per month, and you get to pick the category of the gift box! The choice is between Jewelry, Decor, or Home Accessories. You can cancel the subscriptions anytime. 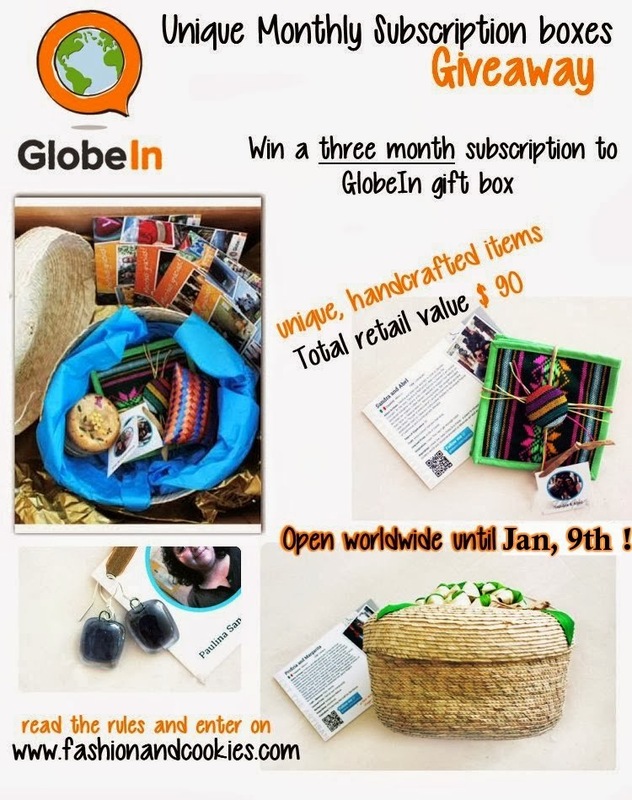 GlobeIn is now giving the chance to one of the followers of Fashion and Cookies to win a 3 months subscription to the amazing artisan gift box ! This subscription to a one-of-a-kind crafts collection carries a $90 value, and is delivered directly to the lucky winner. Isn't it great ? This worldwide Giveaway is open NOW until January, 9th and to enter you have to fill in the Rafflecopter form you find at the end of this post. The winner will be selected randomly and announced here on the blog. Email addresses will be submitted to the sponsor. Good luck !. The question is very simple: what do you wear when it's really cold ?. It's not a secret to anyone that I suffer the cold weather, and I am not the kind of person that will go out with bare legs only to look cool or just grab a cardigan and that's all, I love to look cool but I hate feeling sick afterwards ! I need to have winter clothes. I already know a coat is the most elegant solution when it comes to outerwear, and I've been giving the spotlight to my coats, but I don't say no to my duvet jackets, especially when they are high quality pieces, just like this one I am wearing in these pics, it's from Moncler, one of my favorite brands when it comes to winter jackets. La domanda è semplicissima: cosa indossate quando fa davvero freddo ? Non è un segreto per nessuno che io soffro il freddo, non sono certo il tipo di persona che esce senza calze solo per sembrare più cool, o che aggiunge un cardigan e sente già caldo, ovviamente mi piace avere un bell'aspetto ma odio raffreddarmi ! Ho davvero bisogno di avere abiti invernali. So bene che un cappotto rappresenta la soluzione più elegante quando si tratta di capi spalla, e sul blog ho dato spazio ai miei cappotti, ma non dico di no ai piumini, esclusivamente se di alta qualità, come questo che indosso in queste foto, di Moncler, uno dei miei brand preferiti quando si tratta di giacconi invernali. Who said winter is only meant for dark colors ? Especially thanks to one of the hottest trends for this season, pink is the wat to go...and I've been hunting for a pastel pink coat for quite a long time before picking this Zara one. I love it, I like the contrast between the masculine cut and the very feminine soft pink color ! It's perfect with black and with both elegant and casual looks. It is definately a trend I love, and you ? Are you going to give pink a chance into your cold winter days, just like me ?. Chi ha detto che l'inverno comporta solo abbigliamento in colori scuri ? Specialmente grazie ad uno dei trend più in voga, è il momento del rosa...ed ho cercato un cappotto rosa pastello per diverso tempo prima di scegliere questo, di Zara. Lo adoro, mi piace il contrasto tra il taglio maschile e il colore prettamente femminile !. E' perfetto con il nero ed adatto a look sia eleganti che più casual. Mi piace molto questo trend, e voi che mi dite ? Darete, come me, una chance al rosa nelle vostre fredde giornate invernali ?. After an elegant outfit, let's go back to something comfortable. Do you like going to the movies ? I adore it, I go at least once a week, and at the moment I am so excited about going and see "The Hobbit - The desolation of Smaug". Have you seen it ?. Well, this the kind of look I like to sport for a late afternoon at the cinema. Simple blue jeans, my new combat boots, a long sweater and a touch of tartan with my jacket from Persunmall. Dopo un outfit elegante, si torna a qualcosa di più confortevole e da tutti i giorni. Vi piace andare al cinema ? Io lo adoro, ci vado almeno una volta alla settimana, e al momento non vedo l'ora di andare a vedere il secondo episodio de "Lo Hobbit - la desolazione di Smaug". Voi lo avete visto o volete andarci ?. Beh, questo è il tipo di look che mi piace indossare per un tardo pomeriggio al cinema. Semplici jeans, i miei nuovi anfibi, un lungo e caldo maglione e un tocco vivace e spiritoso dato dalla giacchina tartan di Persunmall. December is the perfect month to sport an elegant look, and that's what I am wearing this time, a pretty elegant black and gold outfit, with a few statement pieces, including sequins and the fiercest pair of ankle boots I own, my scene stealer Roberto Botticelli suede ankle boots, covered in tiny golden studs. I said I'd be ready for an evening out, but of course I did it my way, as you always see on this blog ;). Dicembre è il mese perfetto per sfoggiare look eleganti, ed è proprio quello che sto facendo questa volta, si tratta di un outfit nei toni del nero e dell'oro con qualche elemento davvero speciale, paillettes ed il paio più particolare di stivaletti che ho: è impossibile che passino inosservati i miei ankle boots Roberto Botticelli in camoscio, ricoperti di piccoli bulloncini dorati. Avevo detto che sarei stata "da sera", ma ovviamente intendevo sempre a modo mio, come del resto accade ogni volta ;). Christmas is getting near, and as every year I'm looking for the right gifts for family and friends. I am a die hard shopaholic and I can resist for hours into shops, but I must admit I do not like crowded pre-Christmas shops and having to wait in line for long, that's another reason why I tend to buy online more and more. I am a fan of online shopping because it's so comfortable to buy directly from home, pushing items into my basket with a single click, plus I often find great deals that make me save good money, and that is a real plus !. This is my first serie of a little holiday gift ideas guide, hope you find it useful, we have 16 gift ideas divided into two sets. Image above: 1. Zalando.com home dotted bathrobe; 2. Bourjois lips palette (from Asos.com); 3. Leather polka dots pouch, from Asos; 4. Mint & Berry cardigan from Zalando; 5. Konplott bracelet from Zalando; 6. Kenzo Amour perfume, from Mariounnaud.com; 7. UGG grey earmuffs from Spartoo.it; 8. Mint & Berry burgundy clutch from Zalando. Il Natale si avvicina, e come ogni anno sono alla ricerca dei regali perfetti per familiari e amici. Io sono una vera shopaholic e posso resistere per ore nei negozi senza segni di cedimento, ma ammetto di non amare particolarmente le lunghe file in questo periodo, proprio per questo tendo a comprare molto online. E' troppo comodo poter riempire il carrello comodamente da casa, con un semplice click, inoltre così riesco a risparmiare notevolmente, anche grazie alle offerte che ormai sono diventata bravissima a scovare. Vi segnalo, in merito, la pagina dedicata al Natale di Magico Sconto, nella quale troverete tutti i codici sconto per i più conosciuti siti di online shopping !. Ho preparato per voi una prima, piccola guida ai regali di Natale, sono in tutto 16 e spero vi piacciano le mie idee che, tra l'altro, ho scovato proprio su siti dai quali compro abitualmente e per i quali Magico Sconto ha previsto degli sconti molto vantaggiosi, ovvero Zalando, Spartoo, Marionnaud e Asos !. The weekend is getting closer, and in my spare time, especially in this pre-Christmas time, I need to go out in a casual attire, to shop fastly, being strong and ready...just like a tiger ! Gift hunting and my need to run my errands are a good excuse to sport another easy yet sophisticated look, featuring a Kenzo flying tiger print wool sweater, skinny jeans and my wonderful Ruco Line grey studded boots. A perfect look to go out feeling both stylish and comfortable...and to ROAR a little bit !. Il weekend si sta avvicinando e, nel mio tempo libero, specialmente in questo periodo pre-natalizio, apprezzo particolarmente i look casual, per fare shopping in velocità, forte e pronta come...una tigre ! La caccia ai regali e i mille impegni concentrati sono una ottima scusa per sfoggiare un altro look "easy" ma allo stesso tempo curato, con un maglione in lana a stampa tigri Kenzo, jeans skinny e i miei meravigliosi stivali grigi Ruco Line. Un outfit perfetto per uscire sentendosi sia alla moda che comode...e ruggire un po' !. 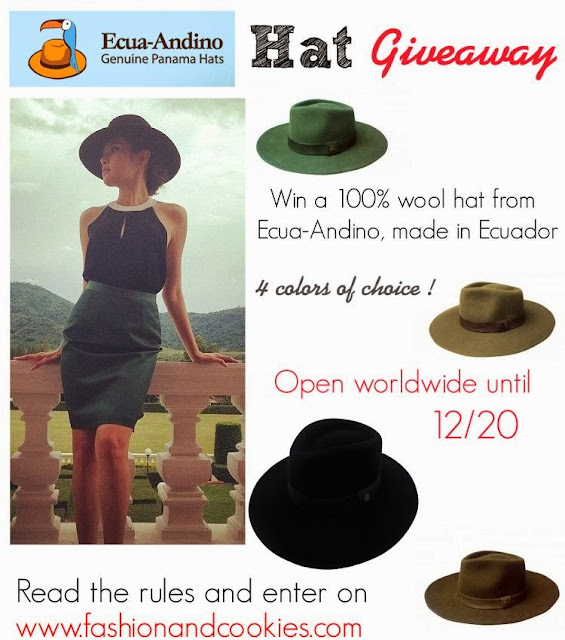 Christmas is in less than a month, so it's time for a special Giveaway here on Fashion and Cookies, thanks to Ecua-Andino, makers of wonderful, high quality hats !. As you probably know, I am a huge hat lover, and I am especially an Ecua-Andino hats lover ! As their proud online ambassador I had the chance to wear Ecua-Andino hats myself and test their great quality and luxurious feel, you can see a few examples and learn more in this post and also this one. I quickly got addicted to these beautiful accessories that turn every outfit into something special...and add to that they keep me warm !. This worldwide giveaway is open now until December, 20th, and to enter you have to fill in the Rafflecopter form you find at the bottom of this post. Hi, how are you everybody ? I spent my first two days of December decorating my house for Christmas, now it looks like winter wonderland and I decided it was time to post the first outfit of the month, that reminds me of Navajo style for this cardigan and it's featuring a mixture of grey shades and warm and bold tones such as rust and prune. This outfit is centered on a few statement pieces: a long jacquard coatigan, suede fringed boots and my wool Ecua-Andino hat. Ciao, come state ? Io ho trascorso i primi due giorni di dicembre a decorare la mia casa per Natale, ora è bella carica di oggetti a tema ed è giunto il momento di postare il primo outfit del mese, che ricorda lo stile Navajo per la stampa di questo cardigan e che si basa su un mix di tonalità di grigio e di colori caldi e forti come il ruggine e il melanzana. Questo look è basato su alcuni pezzi ricchi di personalità: un lungo coatigan jacquard, stivali scamosciati con frange e il mio cappello in lana Ecua-Andino. December is already here and I am really glad it is ! I am not a huge winter fan, but this is the month we all love because of Christmas and winter holidays...and I can't wait to decorate my Christmas tree and my flat !. Let's welcome December with a recap of all the outfits from the past month. In November we had both elegant and casual outfits, flat shoes and heels, and...quite a lot of hats !. I am curious to know your favorite look from November, let me know !. My favorite outfits are 1, 2, 6, 7 and 8 ;). Dicembre è già quì e ne sono felice ! Non sono la più grande fan dell'inverno, ma questo è il mese del Natale e delle feste e non vedo l'ora di decorare il mio albero e il mio appartamento !. Accogliamo Dicembre con il consueto riepilogo dei look del mese trascorso. Il mese di Novembre ha visto protagonisti sia look casual che eleganti, scarpe basse e tacchi alti e...un bel po' di cappelli !. Sono curiosa di conoscere il vostro outfit preferito di Novembre, fatemi sapere !. I miei look preferiti sono i numeri 1, 2, 6, 7 e 8 ;).